Mulberry Park is an exciting new development located within the historic and sought-after address of Combe Down, Bath. The development will offer a selection of 1 and 2-bedroom apartments and 2, 3 and 4 bedroom family homes. 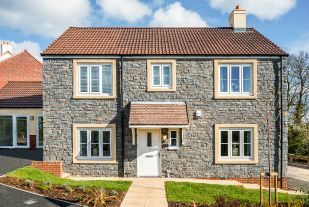 Highbury Fields is a selection of stylish three and four bedroom homes located in the beautiful Somerset countryside. This new development is ideal for family life and located within walking distance of local amenities and a good primary school. Situated just 10 miles from Bristol and Bath, Highbury Fields is perfect for commuters working in the city who prefer the peace and tranquility of village life. A stunning collection of 2, 3 and 4 bedroom new homes. To register your interest please email sales@curo-group.co.uk or call 0345 140 5050. Drew's Meadow is a development of 2, 3 and 4-bedroom homes located on the edge of Devizes, within walking distance of shops, schools and parks. 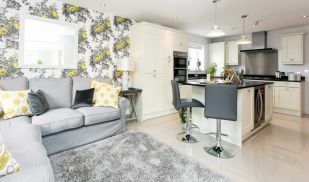 A range of stylish 1, 2, 3 and 4 bedroom new homes.